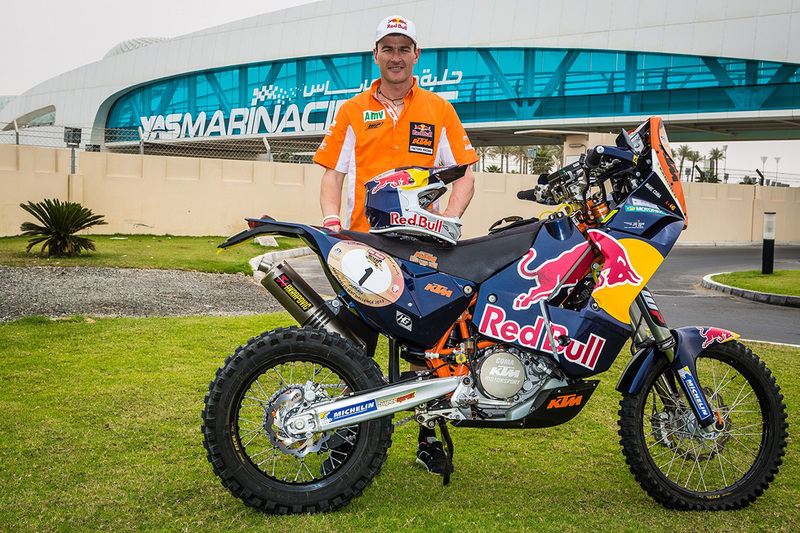 KTM factory rider and three times Dakar rally winner Marc Coma of Spain is in the United Arab Emirates to contest the Abu Dhabi Desert Challenge and the Sealine Rally in Qatar, the events that open his racing season for 2013. 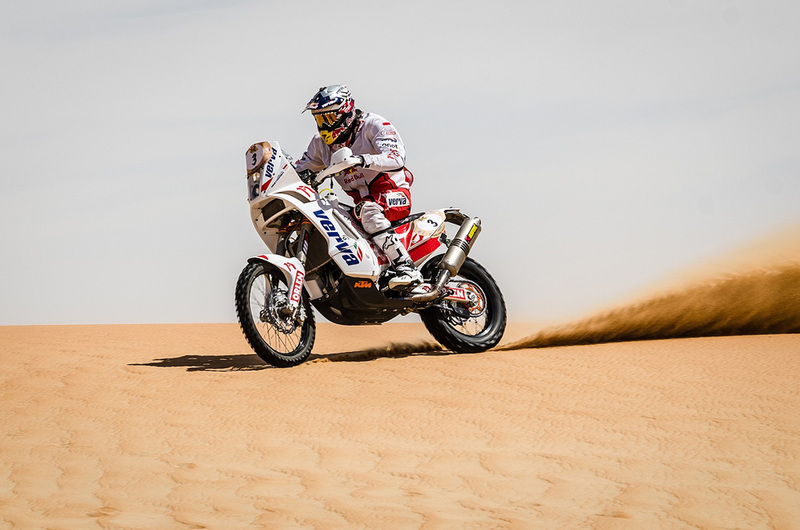 Coma was unable to compete in the 2013 edition of the Dakar Rally because he was not fully fit following corrective surgery for a shoulder injury, the result of a crash in the 2012 Morocco Rally in late October. 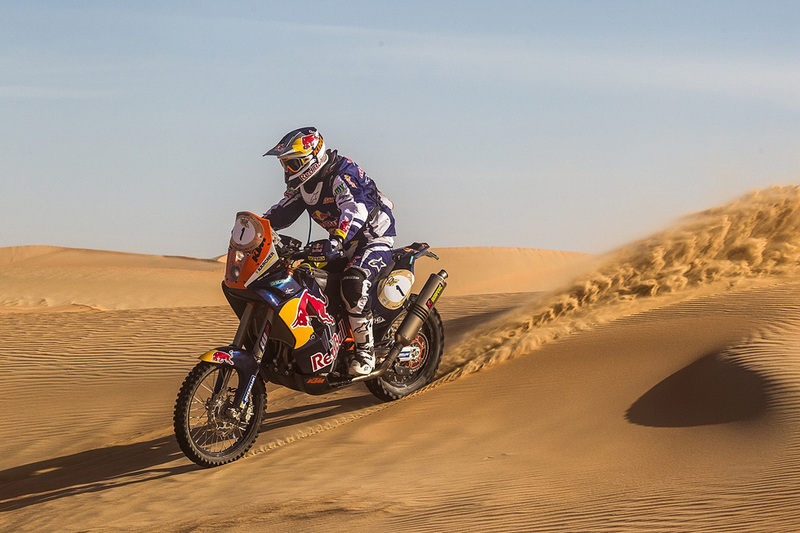 But he is now ready to race and to tackle his favorite terrain, the sweeping sands of the desert, on the KTM 450 Rally bike. 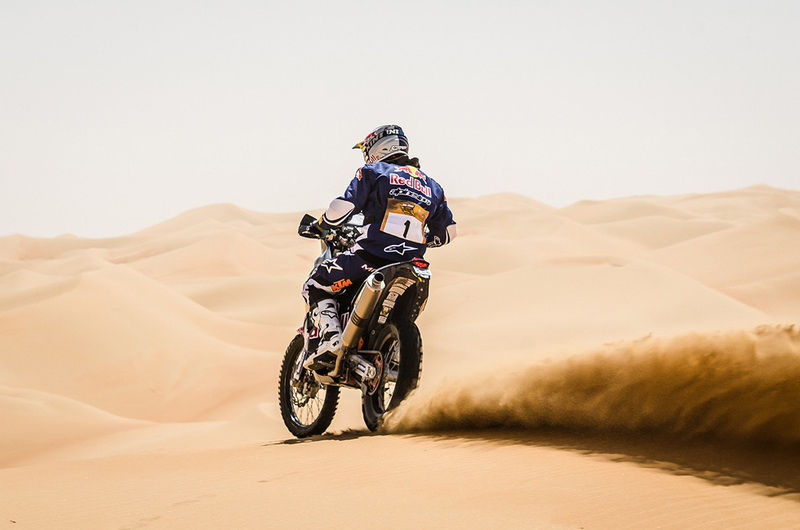 The Spanish rider, seeded number one, leads a top lineup of riders as he begins his defense of his World Rally Championship title. 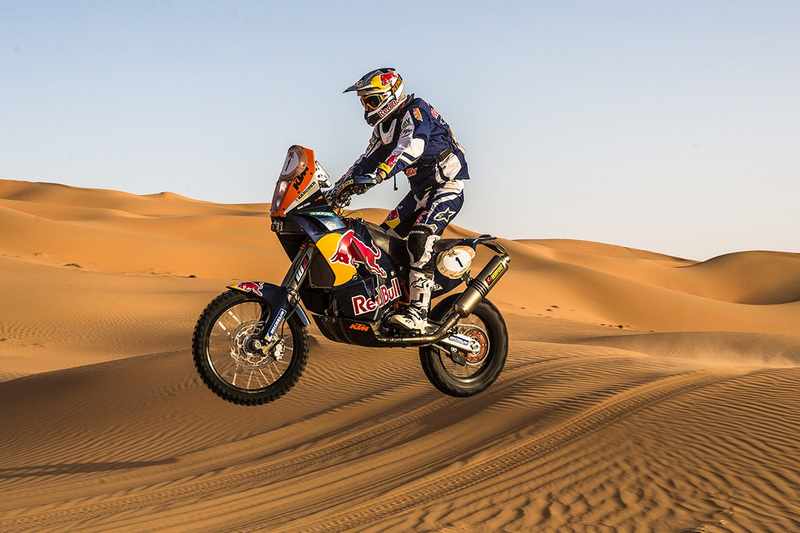 Coma is a proven rider in the Desert Challenge, which he has won six times, including the past four editions. 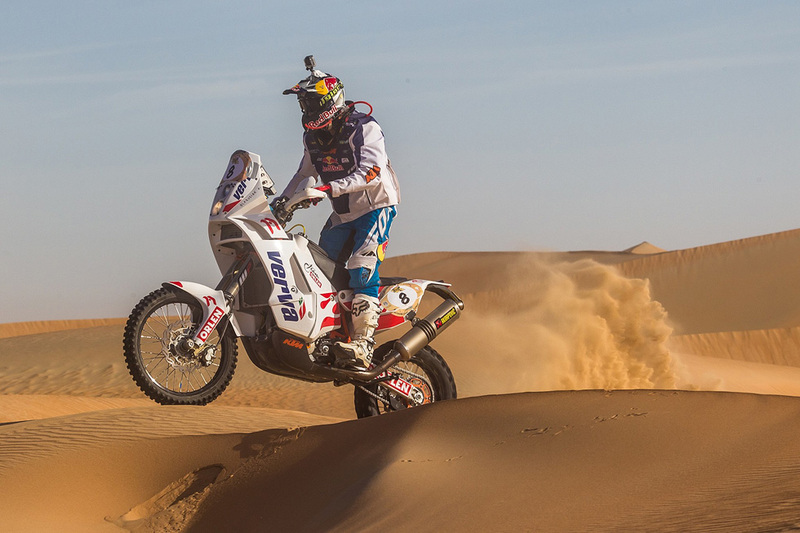 Racing with Coma in the Desert Challenge is his Polish factory teammate Jakub Przygonski and KTM’s extreme Enduro factory rider Taddy Blazusiak, also of Poland, who contests a rally for the first time to stay in shape ahead of the highly competitive EnduroCross season. 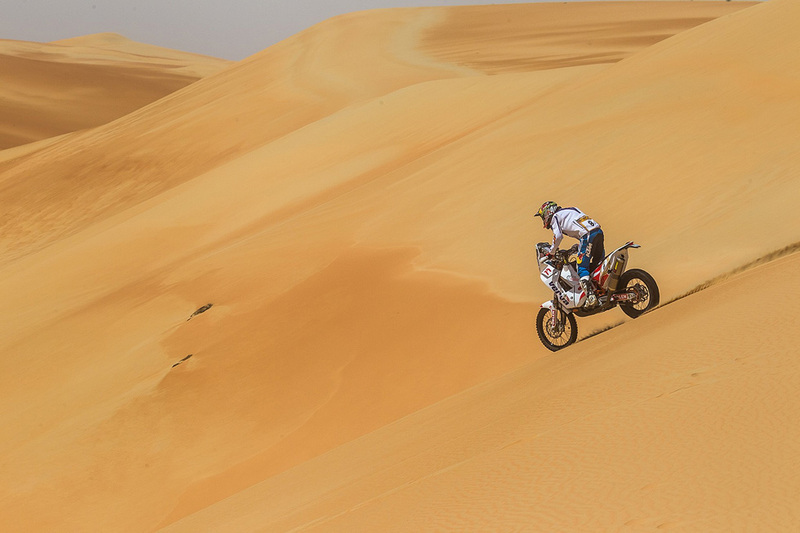 Other top KTM riders are Pal Anders Ullevalseter of Norway and Miran Stanovnik of Slovenia with Mohammed Al Balooshi flying the flag for the UAE seeded at number nine, just behind Blazusiak. 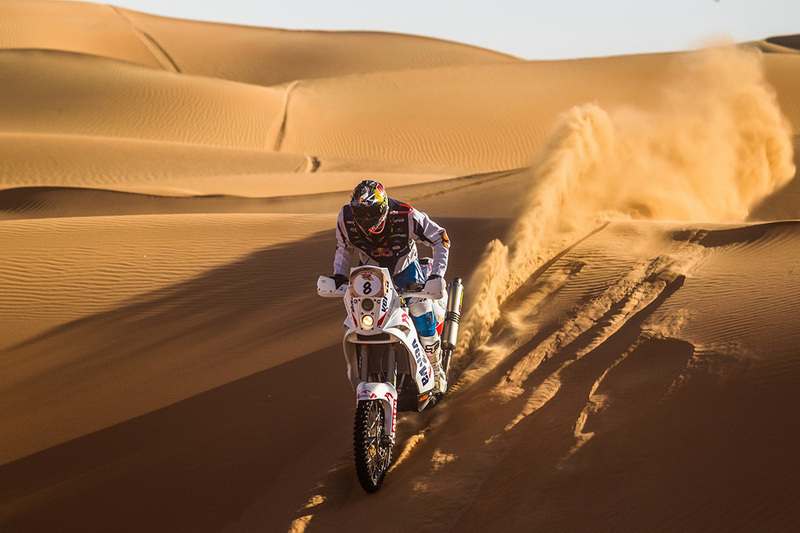 The 23rd edition of the Abu Dhabi Desert Challenge takes riders around 2000 km through the spectacular desert terrain of the Western Region of Al Garbia next week and starts with a super special stage on Yas Ialand, Abu Dhabi, on Saturday, April 6, followed by five days of competitive desert stages. 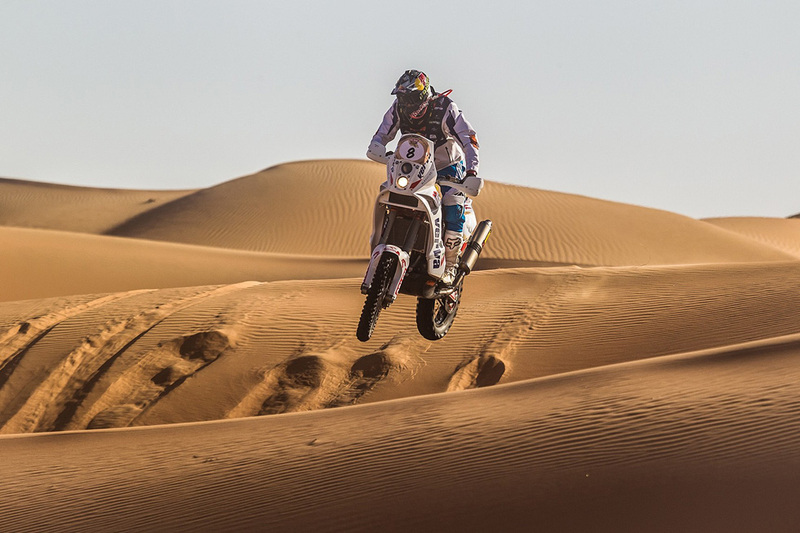 The rally starts and finishes at the Yas Marina Circuit and again takes competitors into the famed Liwa Desert. 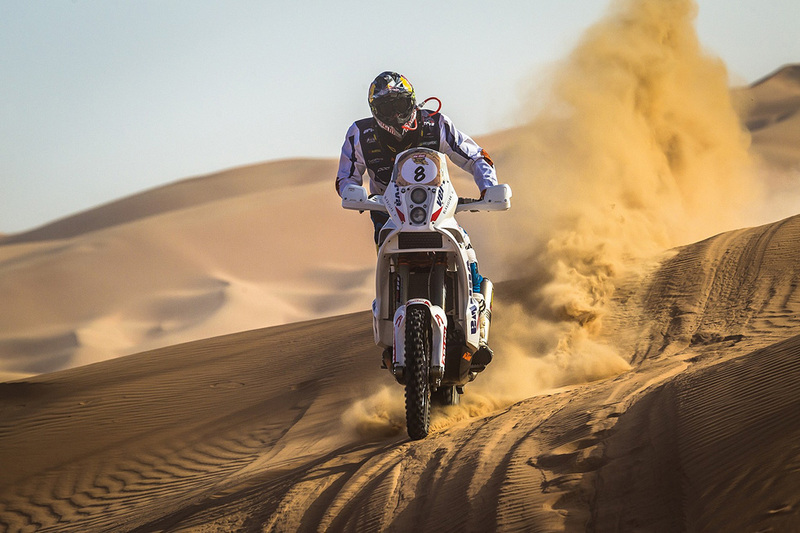 Riders will barely have time to draw breath after the Desert Challenge before they decamp for Qatar and the second round of the FIM Cross Country Rally World Championship. 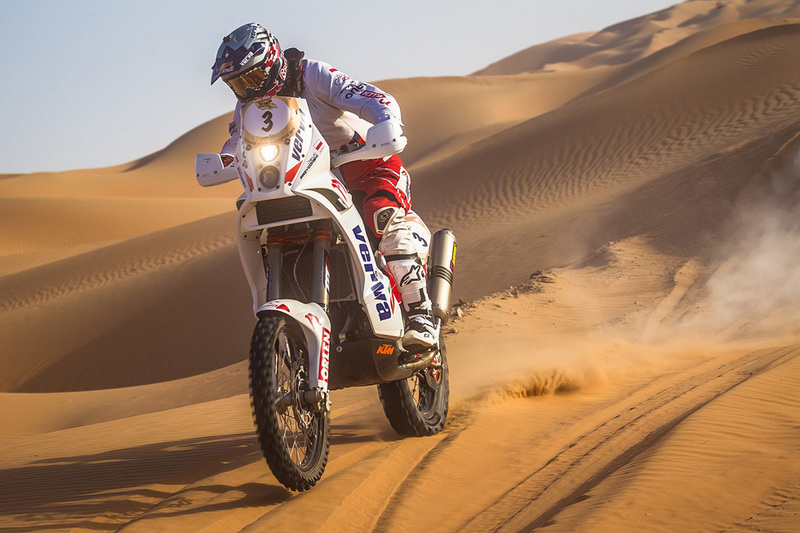 The Sealine Cross-Country Rally was staged for the first time in 2012 and coma returns here as the defending champion. 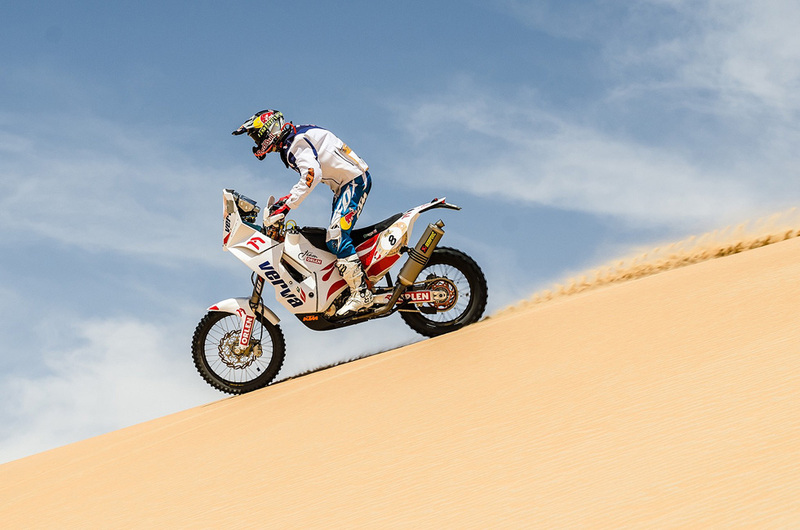 For this rally the KTM factory riders are to be joined by Chilean Chaleco Lopez, while Blazusiak refocuses his attention on the coming EnduroCross season. 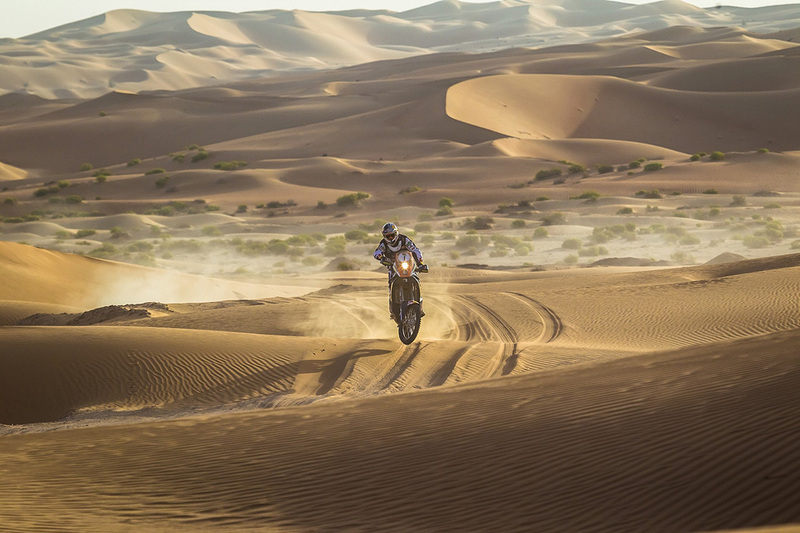 Lopez, third on an all KTM podium at the conclusion of the Dakar 2013, together with KTM’s Cyril Despres and Ruben Faria is no stranger to sweeping desert sands. He will be just at home in this Gulf States desert as he is in the desert coastal plain of his home country. 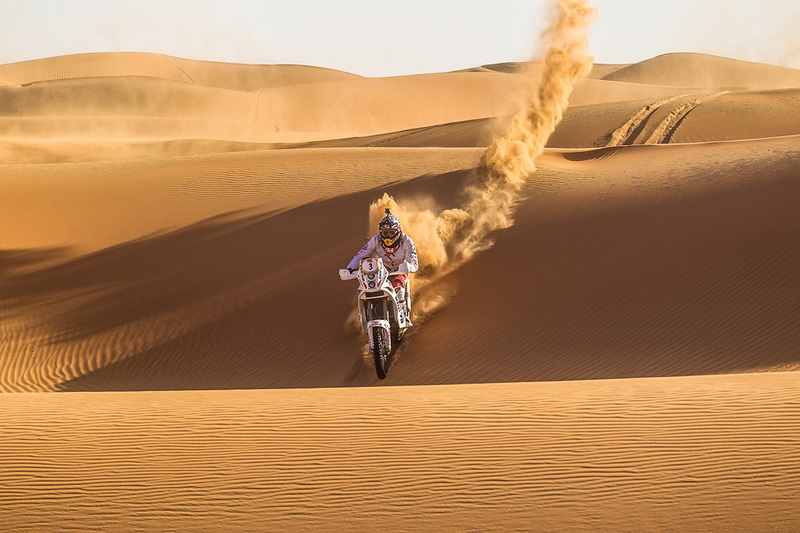 This year organizers report that the Sealine Rally will be fought over four desert selective sections and will feature a longer route over a total of 1500 km but a shorter timetable from April 22-26. 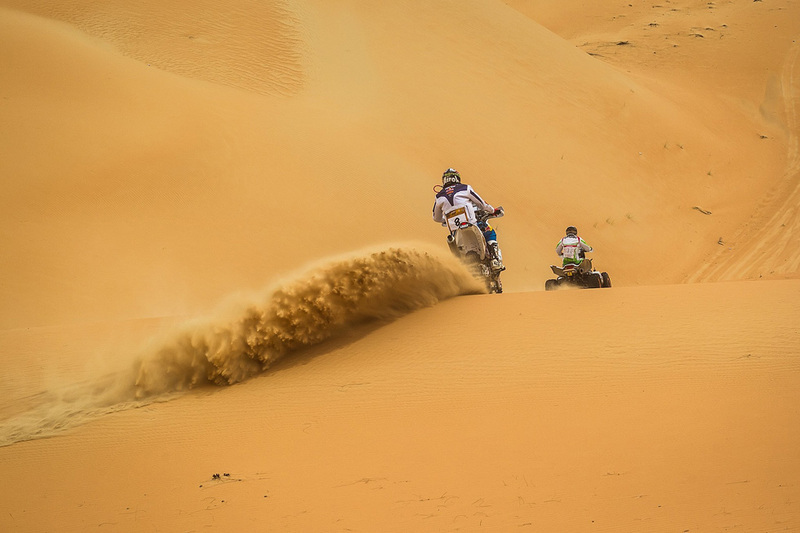 The first three legs will be around 400 km and the final leg for the bikes of 250 km and organizers report there will be plenty of new tracks, more offroad sections and more tricky navigation. 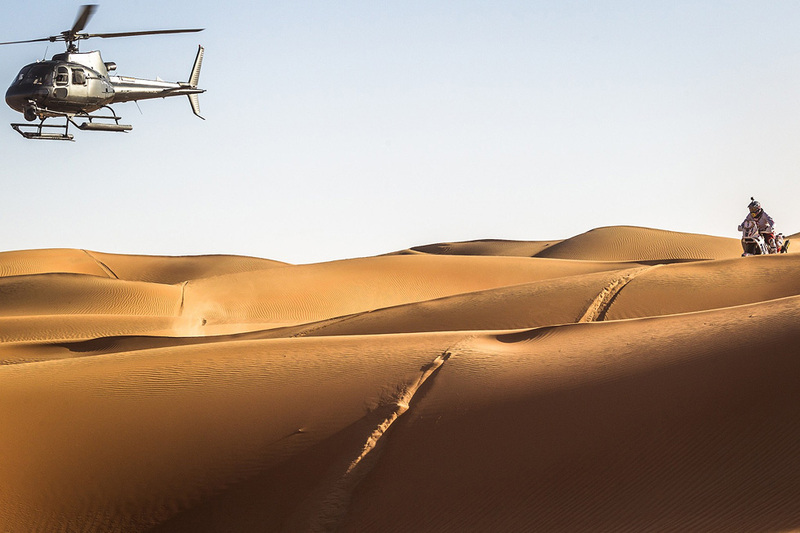 There will be a ceremonial start on Monday evening and the first of the four desert legs starts on Tuesday morning. The rally concludes on Friday. 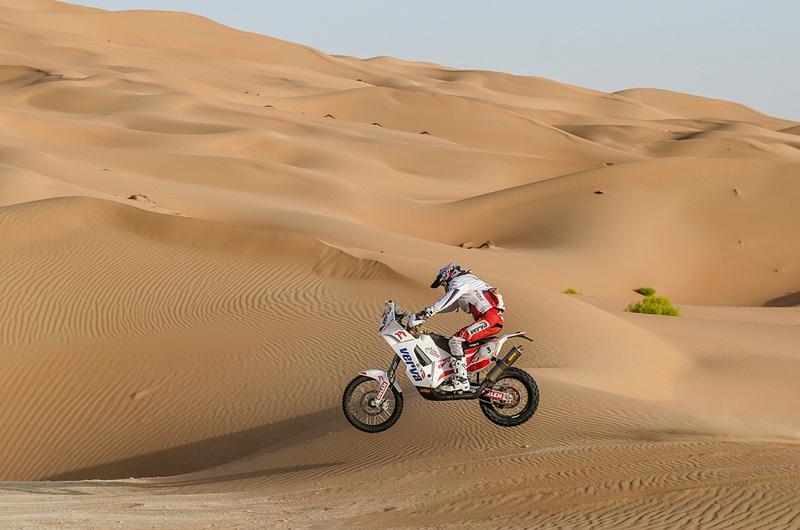 Coma, even though the desert sands seem to be his natural habitat, underlined that the Abu Dhabi Desert Challenge and the Sealine Rally are ‘the toughest’ of the World Championship series. 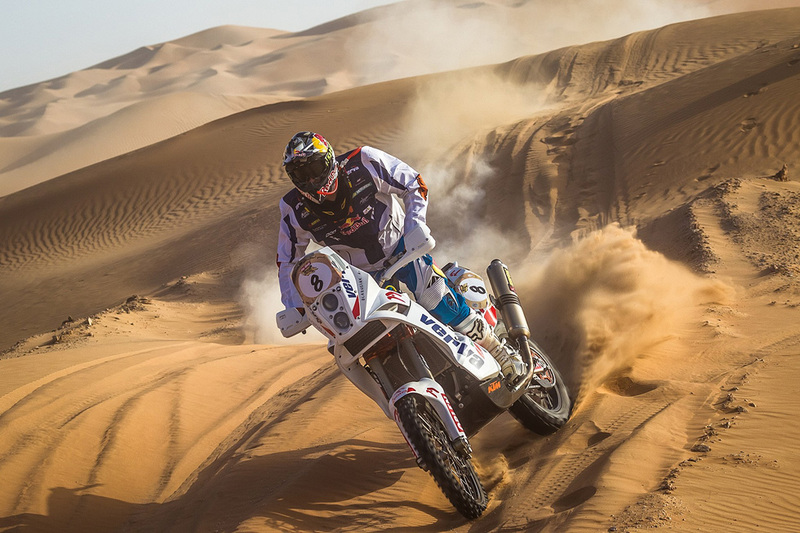 “Conditions here are tough for racing and the high temperatures also make it very difficult. It’s going to be a good test of my fitness”. Great photos by Photos by Chytka M.